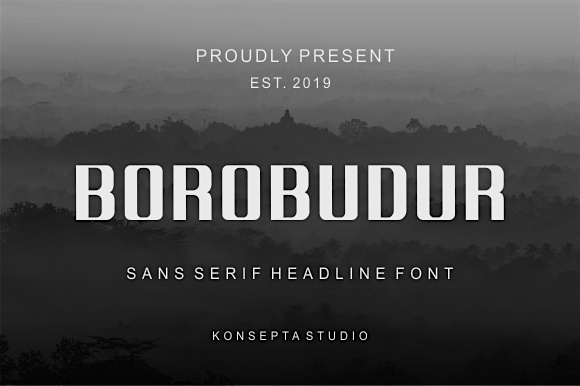 Proudly present my second font experimental project, name Borobudur. It was inspired by 7 wonder of the world. You can use it for personal use only. But, if you wanna use it for commercial purpose, feel free to contact me at konseptastudio@gmail.com. Thanks for your support, download, and donation. Let's have font together!